For many children all over the world, Disneyland is the Mecca of childhood dreams. Theme park attractions such as colorful stage and street shows with dancing and singing fairy tale characters, exciting themed rides and games, special tours to movie sets of popular films, and great food and accommodations mark the total family-friendly Disneyland experience. 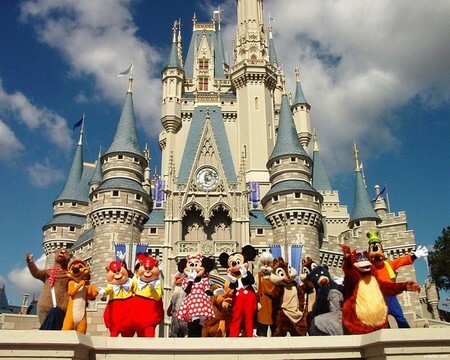 Every year, millions of tourists visit the theme parks of Disneyland in different parts of the world. The idea for a theme park came to Walt Disney when he was visiting Griffith Park with his daughters Diane and Sharon. While watching his daughters ride the merry-go-round, Disney thought of building a place where both adults and children can appreciate and enjoy the rides and games. Although many people have written to Disney, requesting to visit the movie sets of popular films, Disney thought a regular movie set would appear generally uninteresting to the regular moviegoer. This urging from the fans, however, germinated the idea of a theme park that can recreate the fantasy seen in Disney movies. Building the “Happiest Place on Earth,” as Disneyland is known throughout the world, took a long time and many highly skilled and creative people. To begin with, Walt Disney went to the Stanford Research Institute and hired a consultant, Harrison Price, to gauge the proper area to locate the theme park based on the area’s potential growth. 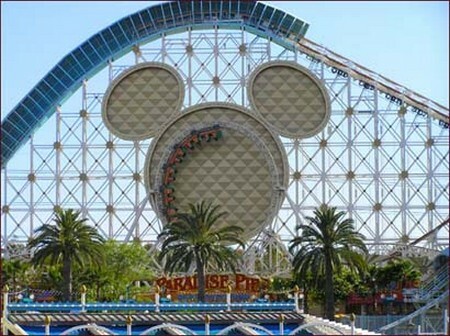 Based on Price’s report, Disney bought 160 acres of land in Anaheim, southeast of Los Angeles in Orange County. Funding was solved through a partnership between Disney and ABC Network. To raise funds for the theme park, Disney created a children’s show called Disneyland. In exchange for this, ABC Network partially funded Disney’s theme park project. For the first five years, Disneyland the TV Show was owned by a corporation composed of Walt Disney himself, Walt Disney Productions, Western Publishing, and ABC Network. In 1960, after it bought out Walt Disney and Western Publishing from the partnership, Walt Disney Productions bought out ABC Network’s share in the project. By this time, enough funding was available for construction to begin in July 18, 1954. Exactly one year later, the Disneyland Theme Park opened to the public. The day before the opening day, a press conference was held. It was by-invitation only, as well as, the opening day festivities. However, the event did not go as smoothly as planned. The “special preview” was plagued by problems: counterfeit tickets, newly built asphalt grounds, an unusually hot day, and a plumbers’ strike that left the water fountains dry. The counterfeit tickets caused the crowd to swell. The freshly poured asphalt was still soft and the women’s high-heeled shoes sank into soft park grounds. Food vendors ran out of food. A gas leak in Fantasyland caused theme park management to close down Adventureland, Frontierland, and Fantasyland for the afternoon. The unusually hot temperature made the people thirsty, but since Walt Disney chose to have running toilets instead of fountains, there was no option but to buy Pepsi, one of the sponsors, from the kiosks. People were enraged and blamed Pepsi for deliberately taking advantage of the dry drinking fountains to sell more soda. To counter the bad press received by Disneyland that day, Walt Disney invited special guests and friends in the media for a “second viewing” so they could enjoy the true Disneyland experience. After the viewing, Walt held a party at the Disneyland Hotel for them. Because of all the problems encountered on that fateful Sunday, it will be forever referred as “Black Sunday” by Walt and his 1955 executives. Since that day, Disney has referred to July 18 as Dedication Day, and never mentioned July 18 as the opening day, even in the park’s publications. The transition from theme park to resort began in the 1990s. Disneyland Park, Disneyland Hotel, and the parking lot as well as the surrounding properties were marked for integration into a major vacation resort development. However, the park’s management was plagued by personnel problems and mismanagement issues, which pushed executives to shift and change people often. Finally, in 2003, Matt Ouimet, former president of the Disney cruise Line, took over the management of Disneyland resort. Together with Greg Emmer as Senior Vice-President of Operations, they were able to turn around the problems regarding cosmetic maintenance and safety maintenance schedules. entirely, but this post presents pleasant understanding yet. to make the trip to the resort not just at ease, but deluxe. Bugsy had to negotiate and force his way into the Flamingo property.